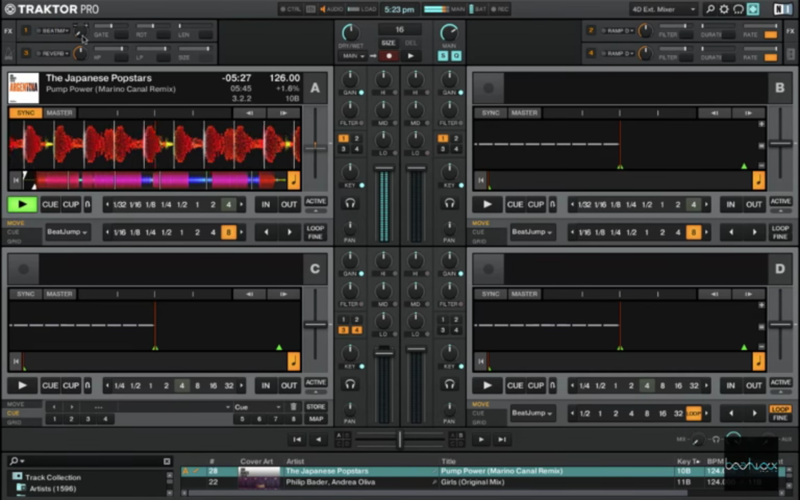 Learn to use Traktor’s BeatMasher Effect to double up your decks. The ‘Beatmasher’ effect is essentially a sampler based effect that can buffer upto 1 bar of audio internally and play it back. We setup the effect as shown in the video (you can also ‘save snapshot’ so when you load the effect again, it will load back with the same settings). We’ll also need to set the ‘Dry/Wet’ to 100% as we don’t want any of the original sound (with 50% dry wet, the effect will play back the track at only half volume). Once the settings are good to go, you’ve got a nice sampler ready to go!